Being Erin ★ : Let go. Good friendships are so rare. I think we're lucky if we have one or two great friends in our lives. There's a saying that "friendships last seven years", as every seven years you kind of make a big life change or have just grown apart from those people in that time. I've had my three school friends for seven years, we're just barely in the eighth year now and I'm starting to realise that we have grown apart and the kind of friendships I have with them aren't necessarily the ones I want. 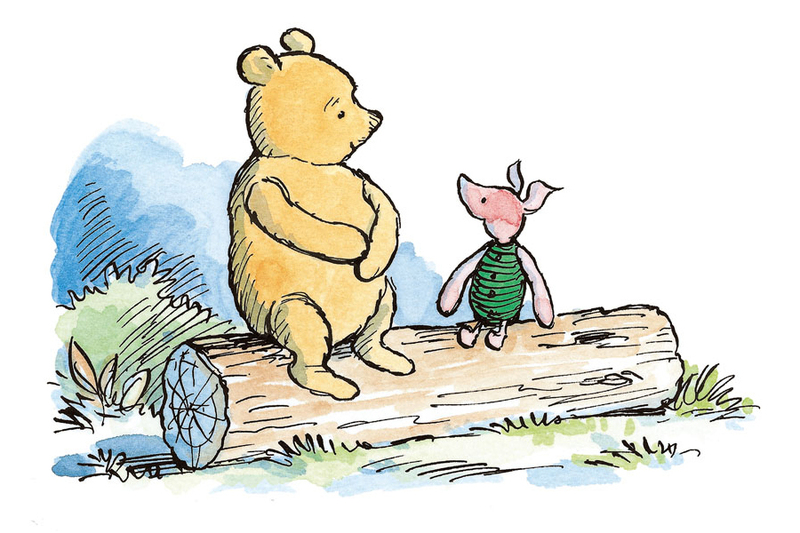 "We'll be Friends Forever, won't we, Pooh?" It's really sad and really hard to recognise that the friendships you've had for one-third of your life aren't working for you anymore and aren't what you want or need. Over the years we've shared so many secrets and moments that I'll remember forever. We've told each other that we'd be bridesmaids for each other. We've grown up and grown apart and time is to blame. Some days I wish we were all still at school, gossiping and crushing on boys and spending every minute of our 6 hours together but everything is different has has been for four years now. this can be such a hard thing to go through, but coming to the conclusions you came to is a huge part of growing as a person, i think. i have some friendships that faded away naturally and some that ended very poorly, but either way i think they were meant to be over. Very true. Some people are meant to be a part of our lives for a short time as opposed to our whole lives and I think that's okay. High school would've been terrible without them but now that I'm an adult (or becoming one) moving on and finding new friends with similar interests and opinions is healthy. It hurts me so much to grow apart with people. It is just terrifying, realising one day you might not have that one person in your life anymore, because you two no longer click. I hate when people leave my life. They always leave something behind. Happy memories, but bruises too. It hurts because you go through so much together and then all of a sudden you aren't in each others lives anymore or you're not there for those exciting moments - big or small. And it usually happens gradually which is even more painful. Wow! When I read a great friendship lasts seven years I thought back to someone I considered a sister, and our friendship slowly deteriorated, which we've been friends for...7 years. It happens, even though it may hurt at first, people grow apart, some grow up and some don't, some have dreams and ambitions while others waste away doing nothing. While everyone has acquaintances, we only really do have a small circle of real and true friends. Unfortunately it's true :( Hopefully eventually we'll find some friendships that last a lifetime. Aw, this is such a touching post. I can relate. I've known a friend since pretty much the day I was born, and now I feel as though we're separating. There's nothing you can do but accept the fact you're growing up, with or without each other. P.S The Picture is adorable!